become the second Lt. 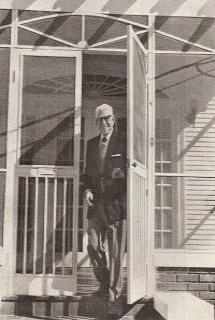 Governor of Louisiana under the administration of Gov. Capitol in Baton Rouge, in June of 1850. Ochsner Hospital was built further down on Jefferson Highway. 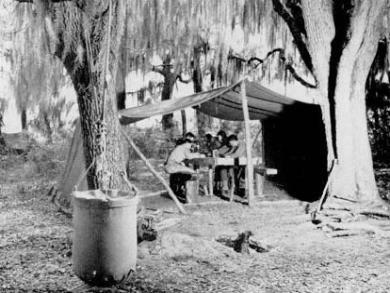 With training needs on the wane, Camp Plauche became a prisoner of war camp. sounds of which would last forever in the memories of the POW's encamped there." they climbed to the top of the steep Huey P. Long bridge. of those apartments briefly in the early 1950's (pictures below). sometimes in the least expected places! critical training facility, a prisoner of war camp or home to hundreds of GI's families. Veterans - Elmwood Industrial Park now occupies the land once used for Camp Plauche. 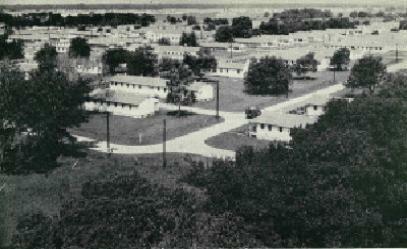 Camp Plauche as it looked during its days as an Army training base. loading wharf is shown in upper left corner. Malaria control unit, Unit Training Center, Camp Plauche. With special thanks to Fred Bullinger for sharing the articles below with us. Also, thanks to Fred Bullinger . . . Images above and article below are from a 1975 East Bank Guide. the center of the parish. The line is the railroad. the commerce that helps the area thrive. Huey P. Long Bridge and into the Port of New Orleans. with the friendly faces of the engineer and the man in the caboose."